Waterside food and views worth a million bucks. 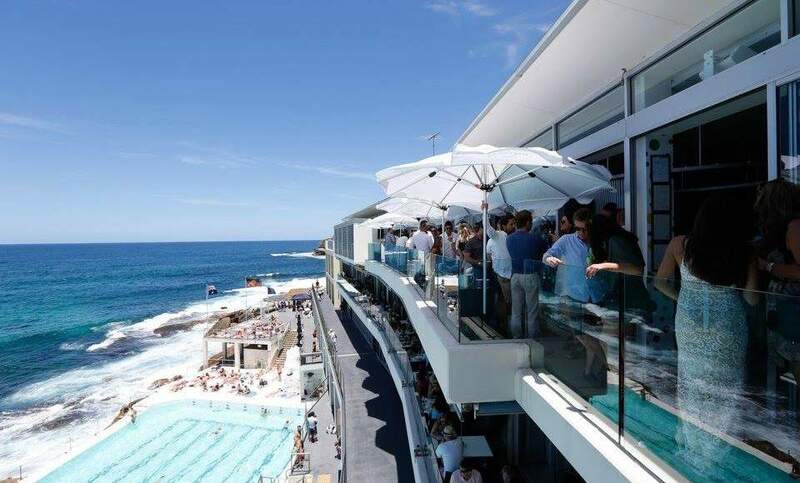 Perched on absolute prime cliff frontage at Bondi's southern end, the Icebergs Dining Room and Bar delivers five-star luxe for both your eyes and mouth. As you soak up those sweeping, multi-million dollar views, feast on a two-hatted menu, driven by fresh produce inspired by regional Italian cuisine. Mr Maurice Terzini has been the man in charge since 2002. He works closely with head chef Monty Koludrovic to come up with tasty, tasty dishes — from crudo di pesce (marinated Petuna ocean trout, white anchovies, squid-ink crisps, garlic and anchovy sauce) to agnello con verdure (slow cooked Riverina lamb, hispi cabbage, peas, garlic and anchovy vinaigrette). If you simply have to try everything, the degustation will sort you out. Lacking the cash for a sit-down? Settle for a cocktail and snacks in the Icebergs Bar. If you're in luck, one of the swinging seats or super-comfy lounges will be free.